Wake up to the beautiful views of nature with our Leh Ladakh tour in India. 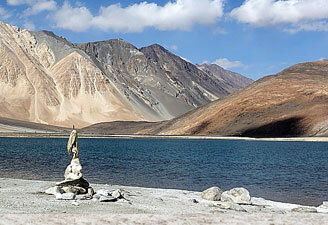 Ladakh is a spectacular place to escape the worldly chaos and that’s why ladakh tourism India remains booming. Contact us for adventure tours to ladakh India to challenge the daredevil inside you. 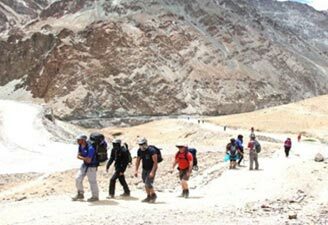 Travelers often look for trekking packages in ladakh valley to witness the beauty of this place while enjoying the thrill of passing through unbeatable paths. 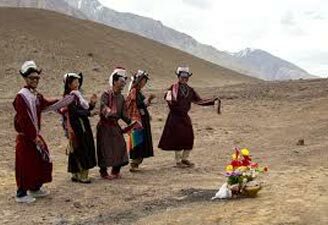 Apart from ladakh trekking tour, we also organize Buddhist monastery tour of ladakh to bestow you a calmer mind and soul. 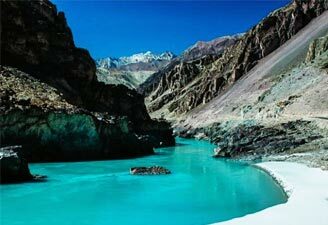 So plan ladakh holidays with us and explore the unexplored. Arrive Delhi. Assistance on arrival, transferred to hotel . Day at leisure. Overnight in Delhi. Morning transfer to the domestic airport in Delhi to connect your flight to Leh. Upon arrival, meeting / assistance at airport and transfer to hotel. Full day free for complete rest for proper acclimatization to the high altitude atmosphere. Overnight at Hotel. 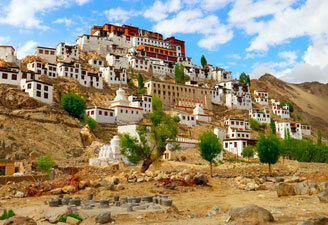 After breakfast, visit the Hemis monastery, the biggest and the wealthiest in Ladakh. Walk past the Chortens and the Mani walls to enter the complex through the east gate. 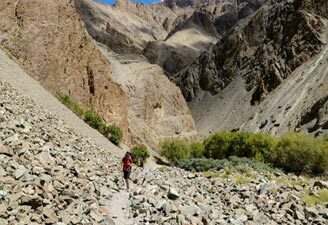 From Hemis, drive westwards to Thiksey monastery, located on a hilltop with formidable views of the Indus valley. After visiting the interiors of the monestry the tour continues to Shey the former summer palace of the King of Ladakh. Finally drive back to hotel in Leh. Start from Leh and drive to Lamayuru. Lamayuru is a pretty little village surrounded by the rocky Hindukush peaks. But the spectacular Lamayuru gompa, which happens to be the most famous and spectacular monastery in Ladakh, completely overshadowes the landscape of Lamayuru. From Lamayuru, visit Likir monastery and then reach Alchi. 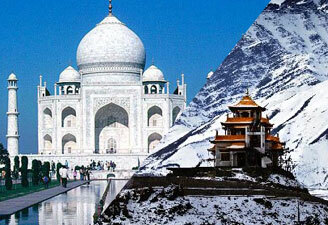 Both Alchi and Likir Monasteries are located near Saspol on the Srinagar-Leh road. Overnight at Alchi. After breakfast drive back to Leh enroute visit Rizong Nunnery, Indus & Zanskar river Sangam and Hall of Fame. Lunch in Leh. Afternoon free , Evening visit Leh Palace and Shanti Stupa. Overnight at Leh hotel. Full day free to explore the town on foot. After early breakfast, transfer to the airport in Leh to connect flight for Delhi to leave for onward Destination. Drive to Kargil. 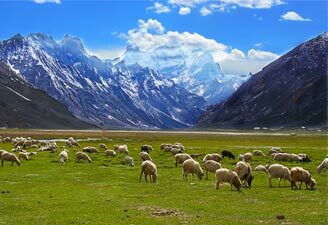 Sightseeing of Kargil, visit the Tete Sping and other interest places the Suru Valley which form the main stay of Kargil district. Lying nestled along the northeastern foothills of the Great Himalayan wall, it extends from Kargil town, first south ward for a length of about 45 miles up to the expanse around Panikhar, then eastward for another stretch of nearly 50 miles up to the foot of the Penzila watershed where the Suru River rises. Overnight in Kargil. Drive to Srinagar via Drass, which is noted for its heavy snowfalls and extreme cold. On the road to Srinagar, Drass, is a small township lying in the centre of a valley of the same name. It is the second coldest inhabited place in the world. During the spring and summer, however the valley around the township becomes very picturesque. From there drive through Sonamarg, the gold valley, to Srinagar and stay in the houseboat. Full day sightseeing of Srinagar visiting Dal Lake - maze of intricate waterways rather than a simple body of open water (The lake is divided into Gagribal, Lokut Dal and Bod Dal by a series of causeways. Dal Gate, at the city end of the lake, controls the flow of the lake water into the Jhelum River canal) and Hazratbal Mosque - This shiny, modern mosque is on the north west shore of Dal Lake. The mosque enshrines hair of the prophet, but to nonbelievers it is most interesting for its stunningly beautiful setting on the shores of the lake with snow capped peaks as backdrop. Also visit Shalimar Bagh - built for Nur Jahan, light of the world, by her husband Jehangir in1616. During the Mughal period the topmost of the four terraces was reserved for the emperor and the ladies of the court. Overnight stay in Houseboat Srinagar.